Parting is such sweet sorrow. Said no conventional strawberry farmer in California, ever. In 2016, the powerful soil fumigant methyl bromide–a chemical strawberry farmers relied on for decades–was finally phased out in California. 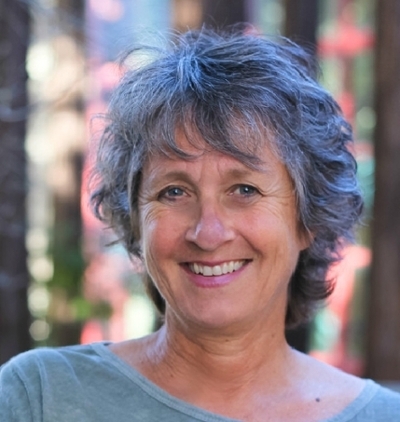 In her latest report in California Agriculture, Julie Guthman, a 2017 Guggenheim Fellow and a professor of social sciences at UC Santa Cruz, explores how strawberry growers adapted berry production without it. Without methyl bromide, it was feared that consumer costs would escalate to cover higher production costs of its substitutes. Some worried that strawberry production would move out of California and into Mexico, where the phase out period was longer than in the US. But by the end of 2016, Guthman found that these pessimistic predictions did not materialize. Instead, production remained relatively steady and the price of berries actually dropped. Guthman also discovered that without methyl bromide, fumigant use still remained strong. Many farmers used chloropicrin, a chemical once used in combination with methyl bromide. Chloropicrin is a toxic air contaminant that now requires buffer zones between applications to protect nearby buildings and people from exposure. Some farmers moved production to rural areas that do not require a buffer zone. In some cases, farmers transitioned to organic farming. But it was market opportunities–not fumigation restrictions–that inspired the switch. Even then, organic farming still requires disease and pesticide-free land or the capital it takes to last the three years to get land previously used for conventional production certified organic. A select few skirted this by purchasing property that was already certified organic or began production in rural areas that had never been farmed (such as a pasture). Problematically, the cost of organic and conventional farm land has risen as well. Strawberry growers have reported bidding wars over land suitable for berry production (on average, strawberry fields in California can produce 66,500 pounds per acre, the highest yield for the crop in the country). If a reduction in fumigant use is a goal, Guthman argues that policy-makers must address land access and the financial burden associated with switching to alternatives. Most substitutes to fumigation (including those in the experimental stage) are not only costlier, they require more land for crop rotations. In sum, insufficient access to land and capital can be a roadblock for any farmer wishing to transition away from fumigant use. “To the extent that lands costs, availability and lease restrictions impede fumigant reductions, policymakers need to consider strategies that will mitigate the financial risks for growers wishing to attempt nonchemical alternative or transition conventional land to organic production” writes Guthman. Read the full report on the California Agriculture website. In addition to receiving a Guggenheim fellowship, Julie Guthman also received a Radcliffe Fellowship. Guthman is a leading scholar on the history and geography of California agriculture.